​Randy Blythe: "You can't remain the same after time spent in prison"
Can you imagine the feelings of a man, who changed his habitual lifestyle to the obscure cell that whispers only lonely hopelessness? What about a total storm of conflicting emotions and merciless onslaught of despair? Yes, we can – this is the answer of the American metallers, presenting their new studio album "VII: Sturm Und Drang" (from German "Storm and Stress") that is based on the true gloomy story of Randall Blythe while being imprisoned in "Pankrac" (Czech Republic). The release of the band's seventh record (not including the first LP "Burn The Priest"), took place on July 24 via Epic (the USA) and Nuclear Blast (other countries). Presently, we can surely say that history of "Sturm Und Drang" began in spring 2010. On the 24th of May in Prague, during the group's performance, there was an accident, entailed Blythe's arrest. Later on, there was a very long trial, resulted in imprisonment of the musician for one month, nevertheless he was acquitted. The vocalist was accused of causing death by negligence. The experience of that period became a source of inspiration – the reason of outlived emotional commotions that open to the listener in every album's composition. "I had no plans to write this record about my perception of how people handle stress and difficulties … but as I was writing, it kind of started coming to me… you can't remain the same after time spent in prison. Every person feel mental and emotional changes," – Randy says. Anyway, Lamb Of God has done a great work. The presented record looks like shrewdly-dark and heavy digest of traditional band's groove/trash metal. However, the impressions of listened material are slightly different. Drawing a parallel with the previous releases, it is worth noticing that "Sturm Und Drang" differs from them A saturated album's atmosphere, first of all, created by hard emotions and incredible energy boost. In turn, the band expressed it with the semantic lyrics and harmonious guitar riffs, accompanied by boisterous drums. The group began to spread rumors about new release in May of present year. There were single-plays, photos and musicians' comments were already online. Thus, people learned about the album title ("VII: Sturm Und Drang") and the tracklist. Mark Morton: "When Randy and me were writing texts to the songs, we tried to determine a basis of the album. We seek a phrase that could accurately reflect the essence of the material. And "Sturm Und Drang" suited perfectly. This phrase demonstrates internal conflict, pressure, confusion and absolute chaos. Moreover, it shows person's reaction to what is happening." No intro, no introduction, no prelude. 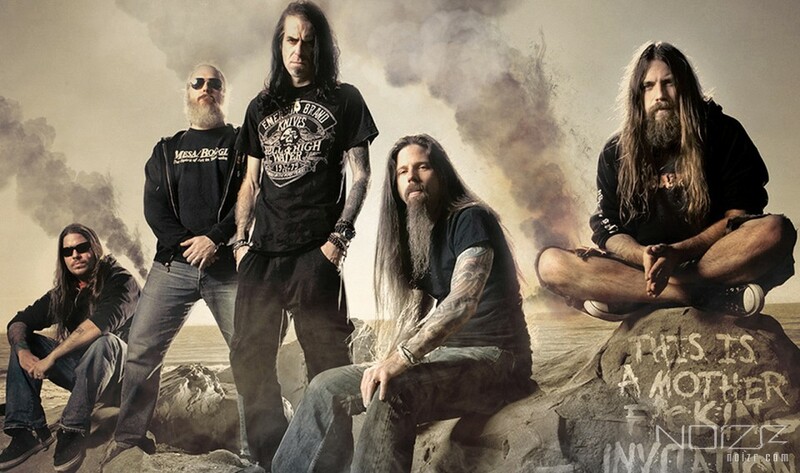 Lamb Of God breaks into our calm lives with the first composition "Still Echoes" with its harsh rhythm and vocals, seemingly even more ferocious than before. From the outset, wild and heavy track clearly shows what to expect from the new record. "It's very grim and acoustically-rich record" – comments Blythe. The subsequent "Erase This", "512", and "Embers" impress with their harmony and really sharp turn rate. And here we get the first surprise! Almost listened to the end of "Embers", you can hear familiar American post-metallers' vocals. Chino Moreno, the frontman of Deftones, sings together with Randy Blythe about tragic losses, such as the death of a loved one. What is it like to stay in solitary confinement, losing the track of time and composure? Listen to 512" and feel it. Blythe describes his feelings and thoughts in his song with no less rigid and gloomy video. As it turned out, the musician's cell number was 512. Blythe: "I couldn't see the sun and have no possibility even to say what time of day it was. The only thing I did was decreasing the level of darkness around me". Chino Moreno was not the only one invited guest. Blythe performs the enclosing album's song together with American musician Greg Puciato – the vocalist of The Dillinger Escape Plan. The composition, called "Torches", narrates about mentality, human view of life and inwardness. The band shared their opinion on "Sturm Und Drang" earlier in the interview. They consider it the most logical-built, harmonious and no so "schizophrenic" like the previous works. A deeper and more meaningful method appears in today's lyrics, 90% of which is written by Randy Blythe. The album becomes another cry of alarm in society that day to day forgets about the moral values and life priorities reaping the benefits of its indolence. "VII: Sturm Und Drang" is presented in several variants: standard CD, deluxe-version and the full set for true fans, consisting of 7-inch vinyl, CD, branded hoody, T-shirt and stickers.